Patients in this cohort had experienced ≥1 nonfatal opioid overdose and had survived >30 days after the event. 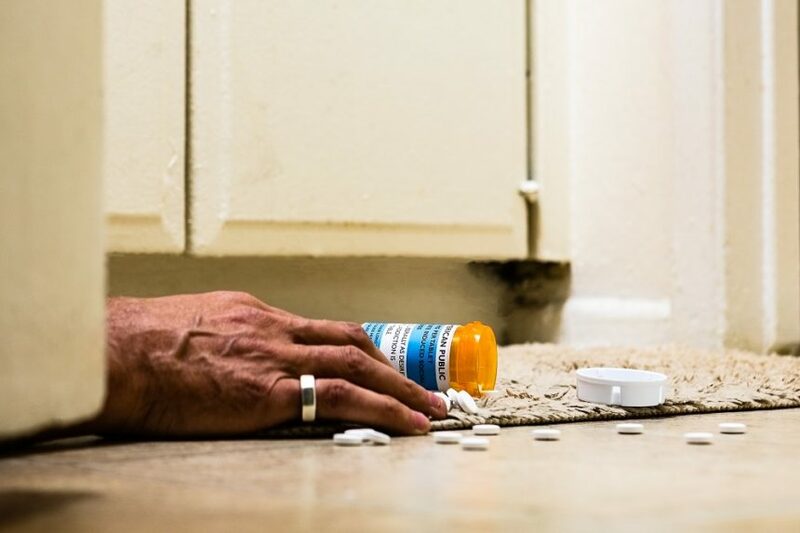 Few of the individuals who experience an opioid-related overdose had received treatment for opioid use disorder, and those who had been treated with buprenorphine or methadone maintenance treatment before the incident were found to have reduced risks for opioid-related deaths, according to a study published in the Annals of Internal Medicine. In this retrospective study, the records of 17,568 adults (age 18 years and older; 69% were younger than 45 years; 62% were men) gathered between 2011 and 2015 from 7 Massachusetts databases were examined. Patients in this cohort had experienced ≥1 nonfatal opioid overdose, identified by an opioid poisoning code among emergency department visits or by a record for opioid overdose among ambulance calls, between 2012 and 2014, had survived >30 days after the event, and had not had cancer in the previous 5 years. In this cohort, 26% had received ≥1 type of medication for opioid use disorder, 22% had undergone opioid detoxification, and 41% and 28% had received a prescription for opioid analgesics and benzodiazepines, respectively, in the 12 months preceding the overdose. In the year after the recorded overdose, 30% of the cohort received a medication for opioid use disorder, with 8% for methadone maintenance treatment, 13% for buprenorphine, 4% for naltrexone, and 5% for mixed treatments. Patients younger than 45 years, those with anxiety or depression, and those who had received detox treatment in the last year were found to be more likely to receive medication for opioid use disorder. A greater percentage of patients treated after the overdose with methadone maintenance treatment or buprenorphine vs naltrexone had received that same treatment in the year before the overdose (49%, 47%, and 19%, respectively). In the year after the overdose, 11% of patients received methadone maintenance treatment (median, 5 months), 17% received buprenorphine (median, 4 months), and 6% were treated with naltrexone (median, 1 month). During that period, 34% and 26% of the patients received prescriptions for ≥1 opioid analgesic and benzodiazepine, respectively. In the month that followed the overdose, 9% of the cohort were treated as inpatients for detoxification. Opioid overdose-related and all-cause-related deaths affected 2.1% and 4.6% of the cohort, respectively, in the year after the overdose (incidence rate, 2.1 and 4.7 deaths per 100 person-years, respectively; 95% CI, 1.9-2.4 and 4.4-5.0 deaths, respectively). All-cause and opioid-related mortality were reduced in individuals who had received methadone maintenance treatment (adjusted hazard ratio [aHR], 0.47 [95% CI, 0.32-0.71] and 0.41 [95% CI, 0.24-0.70], respectively) and buprenorphine (aHR, 0.63 [95% CI, 0.46-0.87] and 0.62 [95% CI, 0.41-0.92], respectively). The risk for all-cause mortality in those treated with naltrexone could not be evaluated, and opioid-related mortality was reduced in this group (aHR, 1.42; 95% CI, 0.73-2.79). “Our data confirm that nonfatal opioid overdose is an opportunity to identify persons at high risk for death and engage them in treatment,” concluded the study authors “A minority of persons who survive an opioid overdose receive [medication for opioid use disorder]. Buprenorphine and [methadone maintenance treatment] were associated with reduced all-cause and opioid-related mortality. These findings suggest meaningful opportunities to improve engagement and retention in treatment of opioid use disorders after a nonfatal overdose,” they added.